Fitzhenry & Whiteside, 9781554551637, 72pp. This third installment of the Larger than Life series details the astonishing success of a Canadian horse-racing legend. 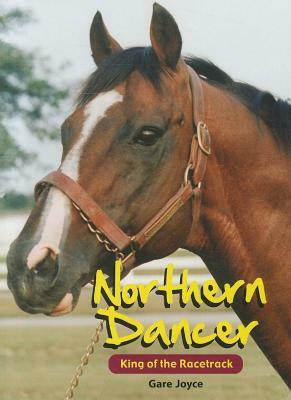 Northern Dancer was born in 1961 at the famed Windfields farm of Oshawa, Ontario. As a colt, he was unimpressive - small and stocky in stature, and ornery and mischievous by disposition. An auction buyer refused to take him, even for free, but breeder E.P. Taylor stuck by him. Eventually, the colt nobody wanted took the racing world by storm. Unwanted for $25,000 as a yearling in 1962, he became champion of the most sought-after crown in thoroughbred racing in 1964-the first Canadian-bred horse to win the Kentucky Derby. He went on to win the Preakness Stakes of Baltimore, and nearly won the Belmont of New York. His seven wins earned him the title of champion three-year-old of 1964. On retirement, Northern Dancer became the greatest stud horse in history, worth over $40 million by 1981. Today, it is estimated that his bloodlines extend to 50 to 70 per cent of all thoroughbred horses. Northern Dancer earned his place in Canada's Sports Hall of Fame, one of only three non-human entries.